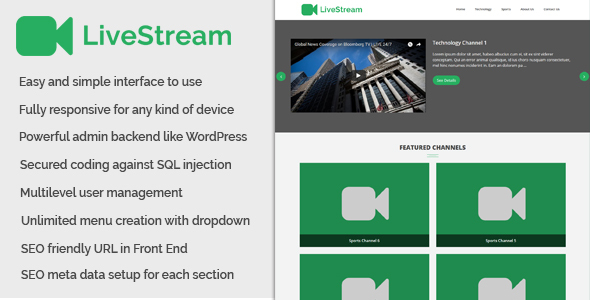 LiveStream is a responsive live channel and stream CMS script. It has a nice and attractive front end interface that is really appealing. Also the backend has a lot of awesome features that are needed for a professional and good live channel or TV stream website. Almost all kinds of task can be done using the admin panel without having any kind or programming language knowledge.